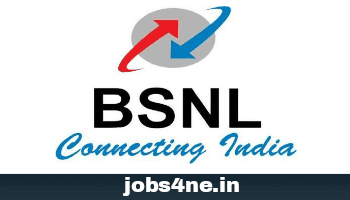 BSNL Recruitment 2017 for 996 nos. JAOs (Junior Accounts Officer) posts: Last Date 15-10-2017. - Jobs4NE : Jobs in Assam and North East India. BSNL Recruitment 2017 for 996 nos. JAOs (Junior Accounts Officer) posts: Last Date 15-10-2017. Bharat Sanchar Nigam Limited (BSNL) invites application from eligible candidates for the recruitment of 996 nos. JAOs (Junior Accounts Officer) posts on Direct recruitment. Last Date of Online Application: 15-10-2017. Name of the post: JAOs (Junior Accounts Officer). Total no. of posts: 996 Nos. Andaman & Nicobar : 13 Nos. Andhra Pradesh : 72 Nos. Chennai Telecom District : 23 Nos. Himachal Pradesh : 18 Nos. Jammu & Kashmir : 16 Nos. Kolkata Telecom District : 08 Nos. Madhya Pradesh : 38 Nos. North East-I : 14 Nos. North East-II : 05 Nos. Northern Telecom Region NTR : 16 Nos. Tamil Nadu : 34 Nos. Uttar Pradesh (East) : 65 Nos. Uttar Pradesh (West) : 41 Nos. West Bengal : 56 Nos. Educational Qualification: M.COM / CA / ICWA / CS from a recognised institution/ University. Age Limit : As on 01-01-2017, Candidate shall not be below 20 years and shall not exceed 30 years. Upper age relaxation for SC/ ST Candidates is 5 years, for OBC Candidates is 3 years & for PWD Candidates is 10 years. Scale of Pay: Rs.16400- 40500/- with annual increment @ 3% of basic pay plus IDA, HRA, Perks, Medical Benefits, etc. admissible as per BSNL Company rules. Application Fee: Rs. 1000/- (Rupees One thousand only) for OC/ OBC candidates and of Rs.500/- (Rupees Five Hundred only) for SC/ ST candidates shall be paid through online mode i.e. Internet Banking, Credit Card, Debit Card only. How to Apply: Interested and eligible candidates may apply online through the BSNL official website: http://www.bsnl.co.in/ on or before last date.